RunTri: Kona Slot Roll-Down: Chances a Slot Will Roll Down to You? 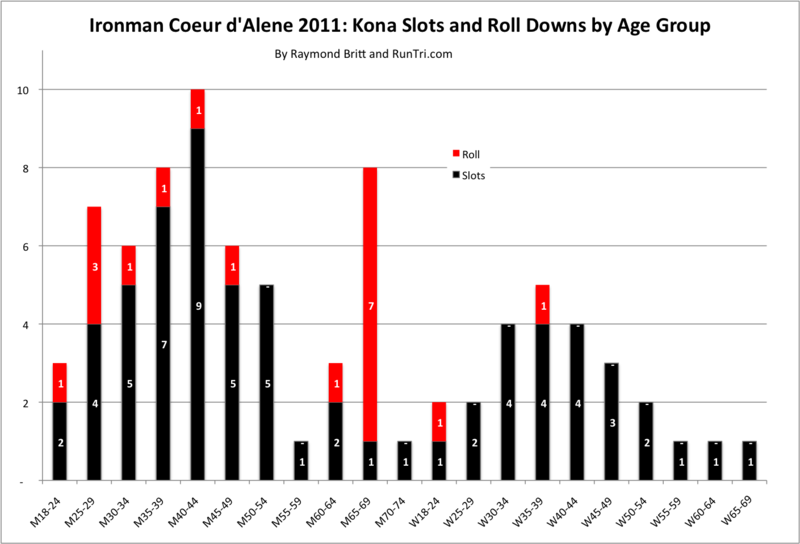 Kona Slot Roll-Down: Chances a Slot Will Roll Down to You? Should you go to the Kona Slot Roll-Down Ceremony? What are the chances a Kona slot might go unaccepted until it passes to you? The answers: yes, go; and the chances are slim, slimmer every year. But as odds get longer, it inevitably happens several times each year: a slot rolls down far beyond expectations, and some lucky triathlete, there on a whim, takes home an impossibly unexpected Kona slot. 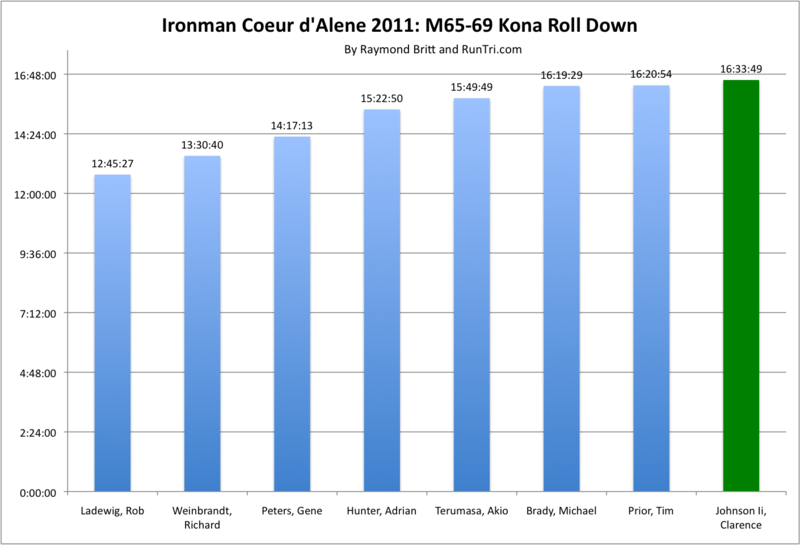 Let's take a recent example: if you've finished Ironman Coeur d'Alene 2011 in the M50-54 age group that offers 5 slots, and you've finished in 16th place, should you just assume you've got no chance? Answer: yes, very likely it won't roll to you (and it didn't at IM CdA in 2011), but you never know. Sometimes amazing things happen at roll-down. Look at M65-69, which offered 1 slot. Stunningly, the slot rolled down to 8th place. Absolutely unexpected; the guy who took the slot had finished in 16:33, nearly 4 hours later than the 1st place M65-69 finisher. In that age group, this sort of thing never happens. Yet, it did. You never know.